98.1% positive (362) Great seller, Highly Recommended! 97.4% positive (38) Great seller!! 99.4% positive (179) Great Seller! 100.0% positive (6) Fast service! 100.0% positive (51) Great experience. Disc as advertised. 99.1% positive (216) Great seller! Thanks so much! 100.0% positive (35) Got the record brand new! 1 item jimcutrona No Feedback Great, quick service. Happy with my purchase. 100.0% positive (26) Solid all around. Thank you. 100.0% positive (10) Quick shipping and item arrived in excellent condition (new and sealed) as offered. 100.0% positive (1) Perfect transaction all the way around. 100.0% positive (5) Perfect! Thanks. 100.0% positive (23) good communication honest seller thanks! 100.0% positive (73) super fast delivery this time! woooow!!! 100.0% positive (3) Quick shipping. Perfect transaction. 100.0% positive (45) Very good experience -- no issues. 100.0% positive (3) fast shipping! 100.0% positive (3) quick shipping! 100.0% positive (5) Great item, great service. 100.0% positive (19) Very fast shipping. I didn't exactly as described and at a very good price. Professional outfit I would definitely order from again. Highly recommended. 100.0% positive (7) Exactly as advertised, prompt shipping! 100.0% positive (42) An excellent Discogs buy! Items as described, well-packed, shipped quickly, clear communication, throughout. Repeat customer- would buy again! 100.0% positive (11) Perfect! Thanks very much! 100.0% positive (21) I order from this seller regularly and never have an issue. My stuff is always shipped right away and I receive it in a week or less. #1 Discogs seller in my book. 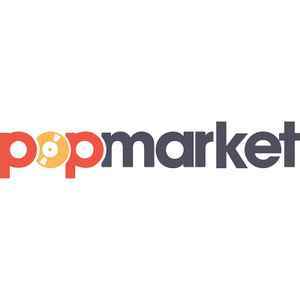 Anytime I look to buy I check pop.market first & don't look elsewhere if they have it! 97.8% positive (45) Got it fast. Thanks. 100.0% positive (12) Great vendor! Fantastic service! 4 items ashley.pietrzak No Feedback Fast service! 100.0% positive (129) Everything is awesome! Thank you! 99.8% positive (469) Great seller!